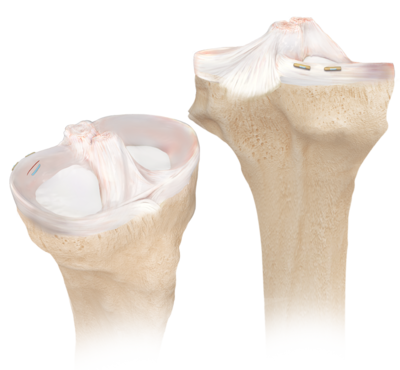 The Meniscal Cinch II technique offers a linear deployment mechanism to provide ergonomic handling and simplicity. 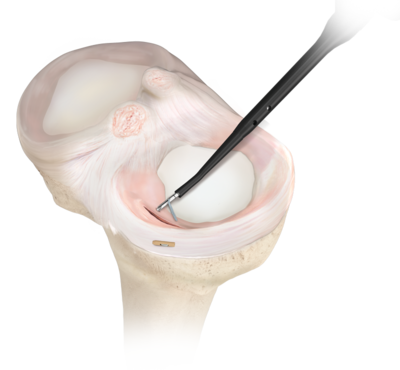 The low-profile cannula allows flexibility in tight locations in the knee and the crimped cannula supports active implant deployment. 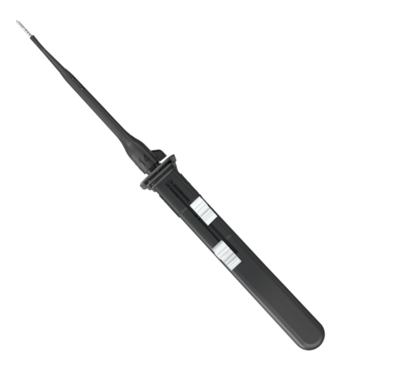 The 1 mm × 5 mm PEEK implants are secured by 2-0 coreless FiberWire® suture with a pre-tied, modified Weston sliding knot that tensions easily and facilitates secure, low-profile vertical or horizontal suture repairs. Use the checkboxes below to add items. 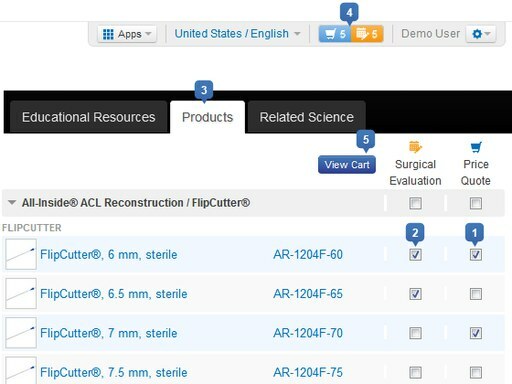 To request a price quote and/or surgical evaluation of products, please add all products of interest to your cart by selecting the respective product checkboxes in the "Quote" (1) and/or "Surgical Evaluation" (2) column of the "Products View" (3). When you are ready to submit your request, simply click the "View Cart" button (5) or alternatively the "Cart Overview" button (4). After reviewing the cart details, click the "Submit Request" button to finalize and submit your request.